If you guys didn't already know, I'm totally not a food blogger, and the reason for that, is because usually what happens is I just don't have the time or energy to document every little detail, and moment of the cooking process. But last week, I got sick with a fever, and felt really nauseous. I read online that I should eat soft foods, like veggies, drink water, orange juice, and chicken noodle soup. Which I did do, but my stomach is still feeling a little weird, and to introduce my stomach back to more solid foods, I decided to bake some zucchini fries. I've always been more of a veggie girl, even before when I was a child, so eating just veggies is not new to me. Though I do prefer to have some meat, I don't need it all of the time. 1. Preheat your oven to 350 degrees. Grease your baking tray. 2. Cut up the zucchini however way you like. You can cut them into circles, or if you want to like the picture above cut the zucchini into 3 pieces, and then cut it lengthwise. 3. You want to put the flour, egg + milk, and panko into separate bowls. 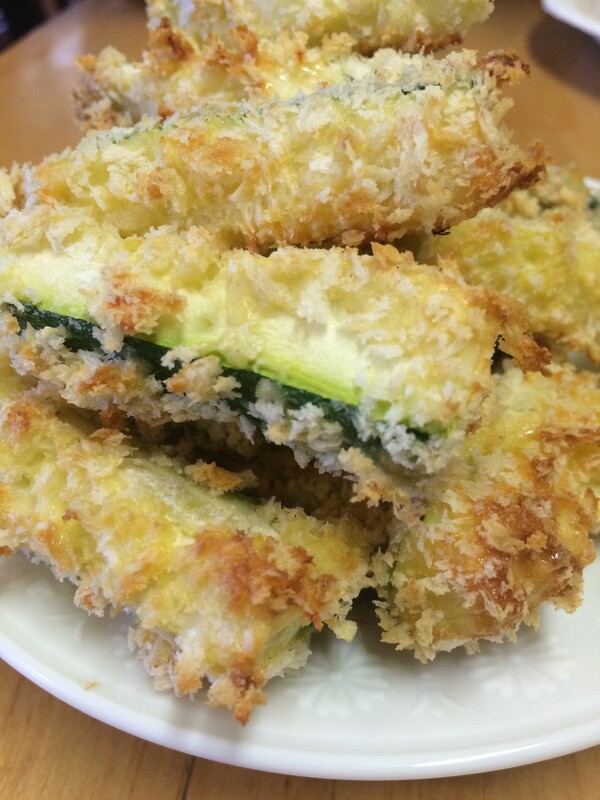 The dip the zucchini into first the flour, egg, and the panko mixture. Place the pieces onto the baking tray, and then let bake for 10 to 15 minutes, until slightly brown. Sprinkle on sea salt and pepper if needed. This past week has been a little difficult for me, because I've been feeling sick, and to this day still can't eat that much food. For those of you who are wondering what helps an upset stomach, I would suggest some peppermint tea. I've been drinking peppermint tea for the last day, because my stomach is in a "screw you" mode. But then again it might have been the ramen that I had the other day. 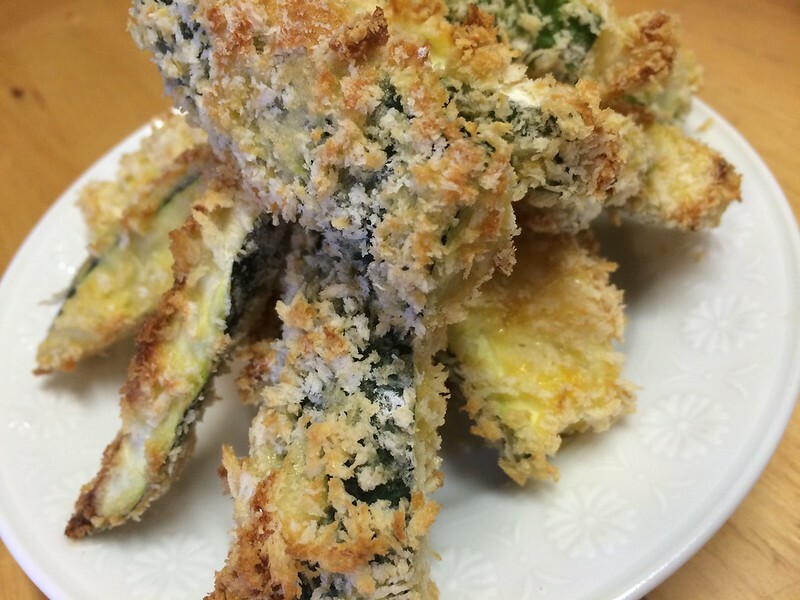 I ALWAYS want to make zucchini fries really! Thanks Mei. I'm trying to get better, by sleeping more, and drinking lots of tea! Oh this sounds awesome and fun way to get veggies in to your diet. I do food posts once in a while generally around the holidays.